CAT 2019 Registration: Aspirants who wish to study MBA courses in any of the 7 IIMs or other participating colleges can apply for CAT Exam. Read this article to get information about the IIM CAT Exam and Know the Procedure to Fill the Application Form. Candidates who are thinking to appear for management entrance exam need to check the officially announced CAT Exam Date so that they do not miss out the opportunity to study in IIMs or other management colleges. You are advised to check the Eligibility Criteria before applying for CAT Exam Application Form. To be eligible for CAT exam, it is compulsory to satisfy the criteria in all aspect otherwise the candidature will be canceled. Applicants must have bachelor degree in any discipline from any recognized university or institution. Must have scored minimum of 50% aggregate marks in their graduation or equivalent exam. For SC/ ST/ PwD categories candidates, it will be 45%. Those who are going to appear in their final year examination are also eligible. No age limit is defined for appearing in CAT exam. Common Admission Test (CAT) is a national level management entrance test conducted by IIMs on rotation basis. Admission Notification for academic session 2019-21 has been released by the IIMs concerned authorities. Interested candidates can fill the CAT Application Form from August month. It will be available through online mode only. Some Basic Requirements are provided Here, in the table below. Mode of Payment Online: debit (Visa/Master/Rupay) /credit card (Visa, MasterCard/ Amex/ Diners Club), net banking/ wallet. 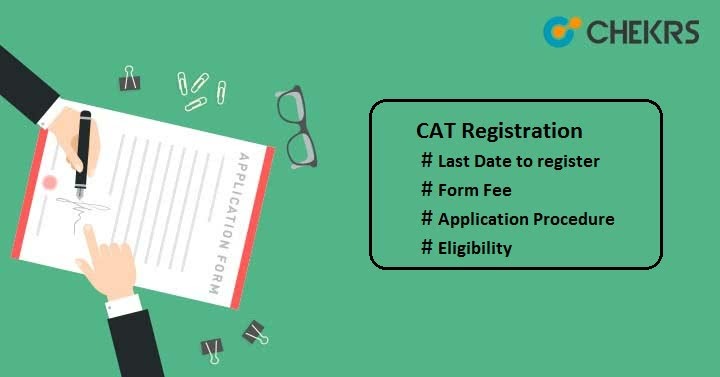 Go through the below step by step procedure to fill out the CAT 2019 Application Form. Candidates must access the official website i.e.iimcat.ac.in to register online. Go to the “New Candidate Registration” section and click on “Register” tab. Fill all mandatory fields, enter valid id & mobile no and click on “Generate OTP” for verification of mobile no. Enter the security code and tick on “I Agree” declaration message. Click on “Submit” button to submit the entered information. You will get User ID & Password on your registered email id & mobile no. Now login to the candidates account with the help of generated login credentials. Click on “Go to Application Form” tab present on the login page. Fill the personal details (name, date of birth, father’s name, communication address etc), academic details, work experience, programmes (Select course), test city. Upload scanned photograph & signature by clicking on “Click here to upload” button. Images must be uploaded as per specified format and not more than six months old with white background. Click on “Save & Continue” button to move to the next page or step. Enter the card details and submit it. You will see payment successful message on your screen with transaction ID or number. Note down the no for further use. You will also get the application submitted successfully message on your registered email or mobile no. Take the printout of filled up application form for further references. Note: All the Candidates with improper/blur photographs can log in and re-upload their photograph in Last week of September 2019. In case of any doubts regarding CAT Exam 2019, registration form, syllabus, exam date etc. Leave your questions in the comment section below.